How Tanzania's general election works Jump to media player The BBC's Sammy Awami reports from Zanzibar on how the process works in Tanzania's closely fought election. Voters debate Zanzibar's autonomy Jump to media player As Tanzania prepares to vote in general elections on Sunday, the autonomy of Zanzibar has become a key issue for the island's people. Tanzania's unequal gold rush Jump to media player Tanzania has become a leading gold producer but many ordinary Tanzanians are losing out. Tanzania's unique mining treasure Jump to media player Heavy taxation is among the obstacles hampering the Tanzanite mining trade. 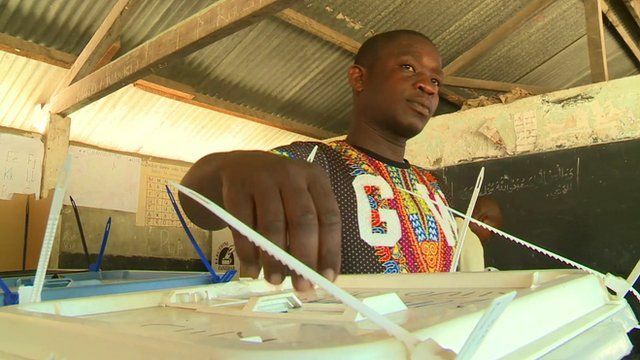 Tanzanians are voting in general elections seen as the closest since independence from the UK in 1961. On both the mainland and the semi-autonomous island of Zanzibar people can vote in local and national elections. Sammy Awami reports from Zanzibar on how the process works.